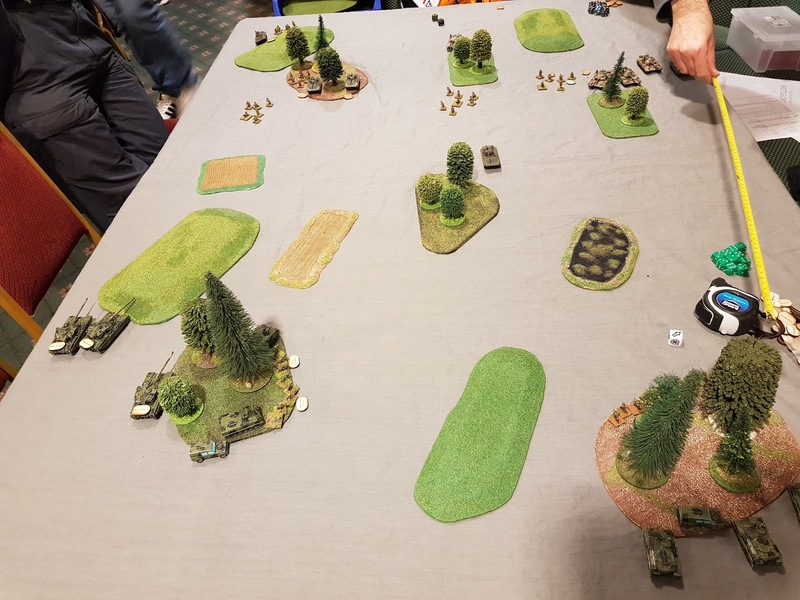 Last Thursday we tried another game of Richard C's unofficial modern battlegroup rules. They were fun to play, very little need to consult more than the QRS and one or two vehicle stat lines, very fast moving with an emphasis on tactics and lots of choices for the player to make. The game swung a variety of ways, although we were surprised at the poor performance of the Chieftain Mk9s and the generally better performance of the T-72s, certainly came as a shock to me as the British player. The Chieftains safely behind a hill. All 3 KO'd after one turn, inflicting no losses on the Soviets. We did wonder whether NATO gunners need the CAT special rule as standard, with maybe the option to purchase a CAT+1 option? The Soviets also seemed to have lots of orders, except on 1 turn when they rolled snake eyes for orders. Rolling 2 d6 plus 2 officers gave them a good chance of getting at least 9 orders per turn, which meant they never needed the battle drill special rule. Lots of fun to play and no real snags to report so far. 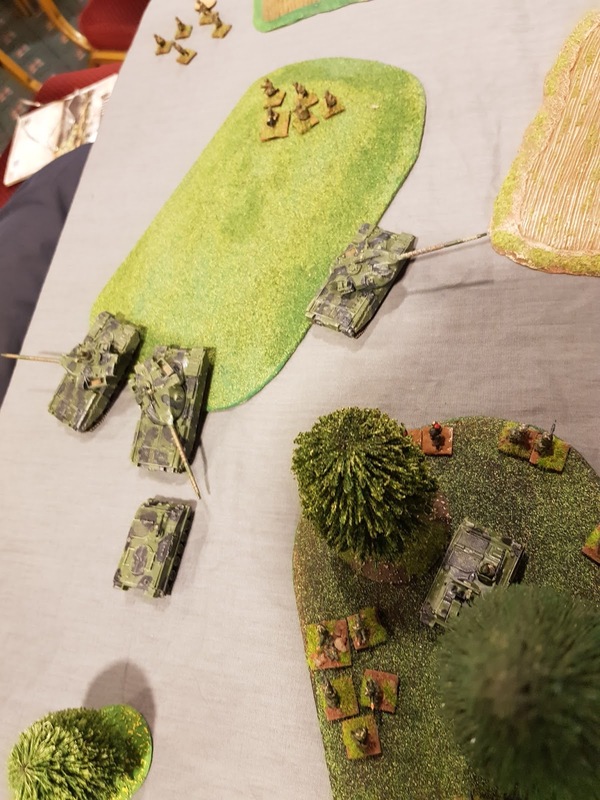 Given the loss of the Chieftain troop (around 40-45% of my points spend) in turn 3, when I thought the game over, the dogged defence by British infantry whittled down the Soviets to the point they were about to break when we called the game.